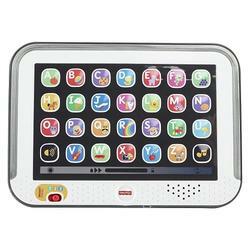 The Laugh & Learn Smart Stages Tablet is baby's very own tablet! Baby can press "app" buttons to learn letters, first words, animals and more! The tablet will light up and dance to the songs & phrases. 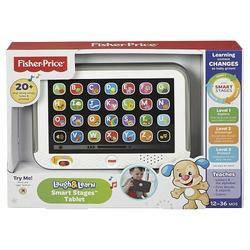 It includes Smart Stages, an exciting new technology that lets you change learning as baby grows with 2 levels of play.